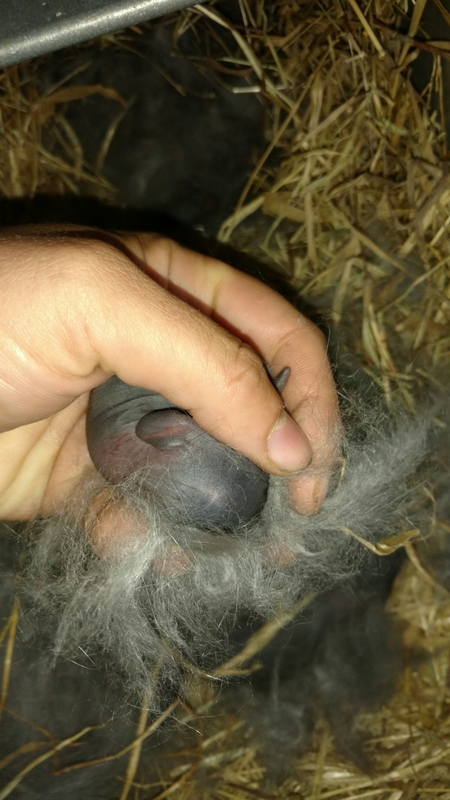 My American Blue doe Brat had her very first litter of babies with our resident Buckbeak! There are 10 wiggly kits that are placed in an immaculate nest full of fur. Keeping my fingers crossed that she is a good mother.